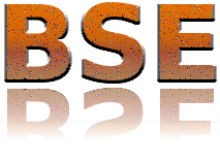 BSE is an engineering consulting firm established in 1997 and is located in Edmonton, Alberta. Currently there are four experts associated with the firm: Richard Ogle, P.Eng., Chris Makepeace C.E.T., Rob Pacholok, P.Eng and Kelly Kruger, P.Eng. BSE provides design, investigation, testing and inspection services primarily related to the building envelope. Projects in this area include: Royal Alexandra Hospital - Edmonton, Edmonton International Airport, Grey Nuns Hospital - Edmonton, Fort MacMurray High School, Mazankowski Alberta Heart Institute - Edmonton, Royal Provincial Museum and Archives of Alberta, Lac La Biche College, Government House - Edmonton, Edmonton Remand Centre and Edmonton City Hall. Click 'read more' to learn specifics. Projects in this area include: Provincial Museum and Archives of Alberta, nuvik Midnight Sun Recreation Center - NWT, Terrace Building - Edmonton, Chateau Mission Court - St Albert and Drayton Valley Provincial Building. Click 'read more' to learn specifics. Typical projects in this area have included: Hospitals, schools, correctional facilities, courthouses, auditoriums, audiometric installations, specialized music rooms and office buildings. Click 'read more' to learn specifics. Projects in this area include: Alberta Legislature Building, Denver Art Museum - Denver Colorado, Alberta Court of Appeal - Calgary, Igloolik and Pond Inlet Health Centres - Nunavut, Inuvik Regional Health Centre - NWT, Manning Health Centre - Manning Alberta and City of Edmonton Prince of Wales Armoury. Click 'read more' to learn specifics.